In a tacit admission that hackers are doing some amazing things with its Kinect peripheral, Microsoft has released an official software development kit for the device. 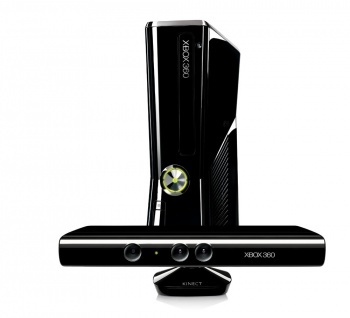 Since its launch the Kinect has seen middling success as a games peripheral. It has sold reasonably well, but the number of quality games that utilize the gadget is depressingly low. Still, the hacking community has taken to the thing like some kind of flying insect takes to whatever it likes to eat. Notable hacks include a Portugese project to aid wheelchair-bound shoppers, a Minecraft tie-in that turns images into in-game monuments and this futuristic motion-sensitive user interface. That may all change with this morning's official release of the Kinect for Windows SDK. Admittedly, the SDK is still in beta, but its very existence is a coup for the hacker community for two key reasons. First, in releasing the SDK, Microsoft is lending implicit support to a community dedicated to altering the software giant's latest gadget. Given the hyper-litigious world we live in, and a games industry that traditionally guards its intellectual property with the fury of a rabid pitbull, this is a striking contrast to the very realistic possibility that Microsoft would instead sic its legion of lawyers on the hackers. Second, even in its current beta form, the SDK offers tech geeks a huge leg up in developing new uses for the Kinect peripheral. Previously, prospective hackers were forced to circumvent the various protections in place in the device or its software, before they could actually start hacking the thing. By contrast, the SDK essentially hands the gadget's blueprints to the community. As the kit's download page states, "The Kinect for Windows SDK beta is a programming toolkit for application developers. It enables the academic and enthusiast communities easy access to the capabilities offered by the Microsoft Kinect device connected to computers running the Windows 7 operating system." "The Kinect for Windows SDK beta includes drivers, rich APIs for raw sensor streams and human motion tracking, installation documents, and resource materials. It provides Kinect capabilities to developers who build applications with C++, C#, or Visual Basic by using Microsoft Visual Studio 2010," it adds. Full details on the SDK can be found on the kit's download page, and those of you hoping to create your own inventive uses for the system, can nab the SDK in both 32- and 64-bit iterations. It should go without saying, but the SDK is only available to Windows users.